Top Chef: Kentucky episode 6 review: Is Last Chance Winner gone already? Tonight, Top Chef: Kentucky episode 6 featured the winner of Last Chance Kitchen — but then another big twist. Going into Top Chef: Kentucky episode 5, there were no surprises — at least when it comes to the Double Elimination. Top Chef: Kentucky episode 4 was far from your ordinary installment of the series. How else can you describe Restaurant Wars? 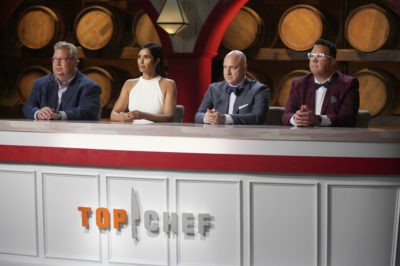 Tonight, Top Chef: Kentucky episode 1 brought the Bravo series to a new state, but it very much has the same personality.